A preeminent geneticist hunts the Neanderthal and Denisovan genomes to answer the biggest question of them all: how did our ancestors become human? Neanderthal Man tells the riveting personal and scientific story of the quest to use ancient DNA to unlock the secrets of human evolution. Beginning with the study of DNA in Egyptian mummies in the early 1980s and culminating in the sequencing of the Neanderthal genome in 2010, Neanderthal Man describes the events, intrigues, failures, and triumphs of these scientifically rich years through the lens of the pioneer and inventor of the field of ancient DNA. We learn that Neanderthal genes offer a unique window into the lives of our ancient relatives and may hold the key to unlocking the mysteries of where language came from as well as why humans survived while Neanderthals went extinct. Pääbo redrew our family tree and permanently changed the way we think about who we are and how we got here. For readers of Richard Dawkins, David Reich, and Hope Jahren, Neanderthal Man is the must-read account of how he did it. 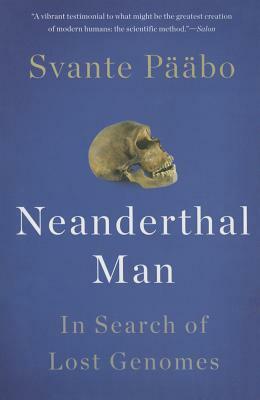 Svante Pääbo is the founder of the field of ancient DNA. The director of the department of genetics at the Max Planck Institute for Evolutionary Anthropology in Leipzig, Pääbo has been featured in the New York Times, Newsweek, National Geographic, and The Economist, as well as on NPR, PBS, and BBC. In 2009 Time named him one of the 100 Most Influential People in the World. Pääbo lives in Leipzig, Germany. "[T]his book is a vibrant testimonial to what might be the greatest creation of modern humans: the scientific method."